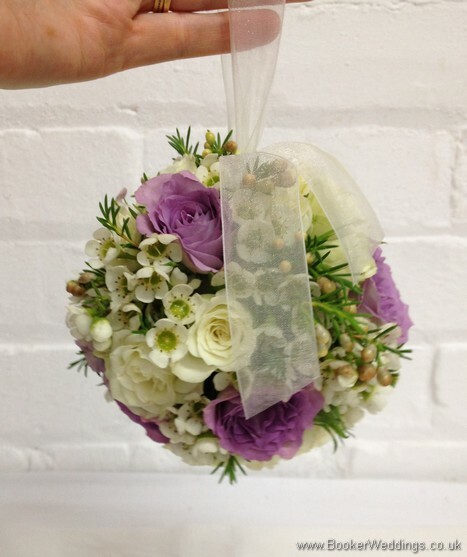 Bridal bouquets don't just have to be post type - there are many different shapes and styles. Last month we discussed the difference between tear-drop and shower. This month, we are discussing the other shapes available, including over arm and various bridesmaid and flowergirl options too. The stems of the flowers in an over arm bridal bouquet are often kept long, as the bouquet is designed to rest on the brides arms with the flower heads resting just above the elbow. This bouquet type is usually only a few flowers together or just one type of flower with a more architectural look such as Calla Lilies. This style is particularly suited to long vintage style wedding dresses. 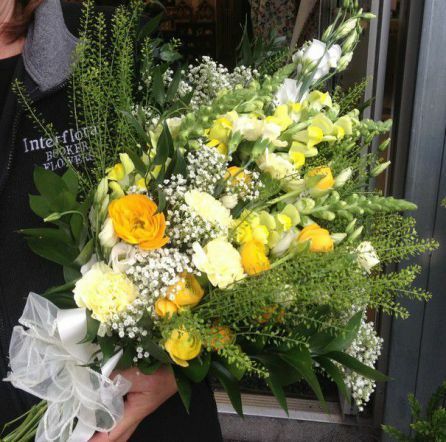 Informal over arm bouquets are similar to the formal style. The difference is that this type is made up of more flowers and lots of different types, giving it a more wild look. Again this bouquet suits a more fitted style vintage dress. There are lots of other different shaped bouquets, although most of these are used for flower girls or bridesmaids rather than brides. 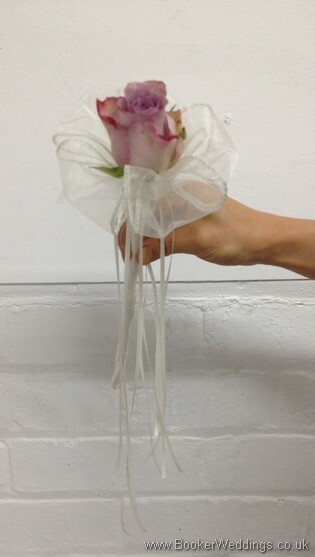 Adult bridesmaids usually have a smaller version of the bridal bouquet and a round version if the bride is having a shower bouquet. Pomander - This bouquet is all round like a ball suspended on a ribbon which goes over the wrist, making it perfect for little bridesmaids or flowergirls to carry. Wand – This is a single flower dressed with ribbons, ideal for young flowergirls as it's relatively inexpensive and makes them feel special with their own flower. 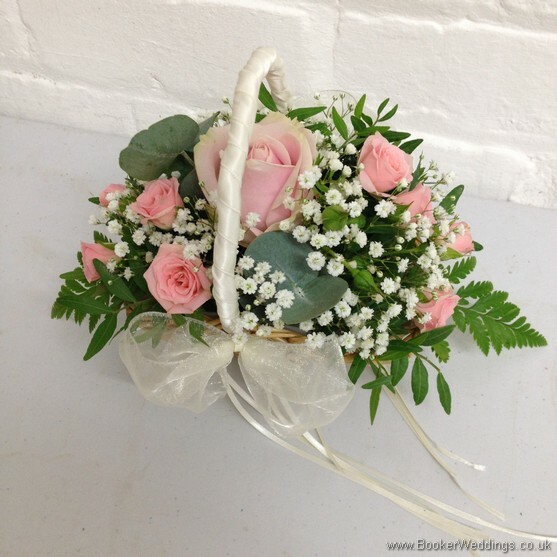 Basket – Simply a small basket with flowers inside that match the bride's bouquet. Again an easier option for little girls to hold.